Wearable technology is currently a big trend. There are devices that can track your fitness, correct your posture, monitor how much water you drink, and assess the quality of your sleep, to name a few. You may also have noticed a crop of wearables that are designed to relieve pain. Alpha-Stim® is a handheld, FDA cleared, prescription medical device that treats acute, post-traumatic and chronic pain. Since pain-relief wearables are available over the counter, you may be wondering how they compare to the prescription strength Alpha-Stim, and which option is right for you. Alpha-Stim uses microcurrent electrical therapy (MET), delivered through two handheld probes, to bring relief directly to the site of your pain. Wearable devices, on the other hand, are typically worn on a specific place on your body, such as your calf, regardless of where your pain is. 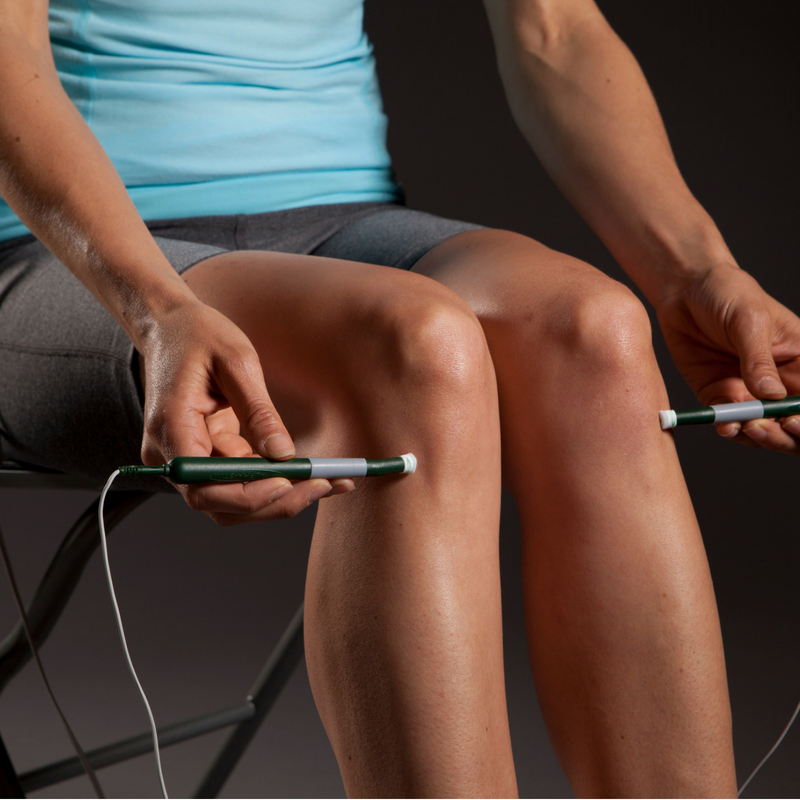 Alpha-Stim allows you to target and treat your pain exactly where it hurts. 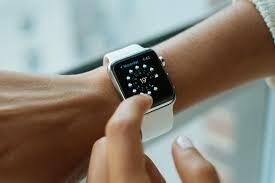 Wearable technology serves many purposes; most devices are worn on the wrist or the calf. Wearable devices are typically transcutaneous electrical nerve stimulators (TENS). Although TENS can be quick to initially reduce some pain, the body typically accommodates to it, and as a result, maintaining a therapeutic effect requires an increased amount of current until it becomes ineffective or too painful to use. Alpha-Stim’s results are cumulative over time; in other words, you will need it less and less instead of the increased “dosage” required with TENS. We call it reverse tolerance. With Alpha-Stim, pain relief is long lasting and often immediate – even though a treatment is done in a matter of minutes. With wearable devices, according to a recent article in Forbes, “you don’t just put on the band and presto your pain disappears. You typically have to wear the device for a week or two before noticing the reduction in pain. Typically, people will wear the band for 6 to 8 hours a day.” Alpha-Stim allows you to treat your pain quickly at home, and then go about your day unencumbered. Most people feel significant, if not complete, relief of their pain from the very first treatment. Alpha-Stim’s smart probes treat pain precisely where it hurts. After treating pain with Alpha-Stim, users can use the earclip electrodes for a cranial electrotherapy stimulation (CES) treatment. This is the part of the technology that makes Alpha-Stim so effective at treating pain, as well as anxiety, insomnia, and depression, because it normalizes the brain. Wearable devices do not attempt to treat or restore the brainwave patterns that can be disrupted by pain; only Alpha-Stim does that with its patented and proven waveform. Perhaps the most significant distinction between Alpha-Stim and wearable pain devices is the fact that Alpha-Stim’s effectiveness is backed by over 100 independent clinical studies proving that Alpha-Stim works for 9 out of 10 users, significantly reducing pain by an average of 71%. It is also trusted by and relied upon by the U.S. military and is offered at more than half of the nation’s VA medical centers. Patient testimonials abound as well – one man even avoided the amputation of both of his legs when he started treating himself with Alpha-Stim. If you suffer from pain, it makes sense that you want to research all your options for relief. It can be overwhelming when you are faced with multiple choices, so it’s important to know the differences between the products available to you. Alpha-Stim® has been proven time and again to be a fast, safe, and effective treatment for all types of pain, as well as anxiety, insomnia, and depression. Its quality – backed by decades of success – surpasses that of wearable technology. So, if you’re looking for the fastest, safest and most effective way to treat your pain, you owe it to yourself to try Alpha-Stim. You’ll be amazed at the results. We’re here to make it easy for you. Get started today!